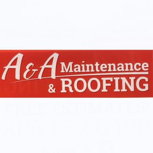 What makes A & A Maintenance so exceptional? We work with the top brands to provide quality service. Malarkey and TAMKO shingles have been our trusted brands for years now because of durability, affordable cost, and fantastic designs. Our roofers are one of the hardest working people in West Texas, and they take pride in what they do. Our AC Technician has been recognized and awarded as one of the best in West Texas over maintenance and repairs. In addition, we utilize reputable brands and have thorough knowledge of our manufacturer warranties.